Apple is going to release iOS 11 to the public on the 19th of September 2017, after 10 beta versions. If you have not yet updated to iOS 11, and are waiting for a jailbreak, you should stay on whichever firmware version you are currently on. iOS 11 could have patched exploits that jailbreak developers intend to release to the public, in which case you will need to be on a software version lower than iOS 11.0 to jailbreak. For those of you who have already updated and want to get back to iOS 10.3.3, you only have a limited amount of time to do so while Apple is still signing that version. Once Apple stops signing this firmware version, which usually happens within the next few days after a new version is released, you will no longer be able to downgrade. So make sure to do it quickly if you need to. 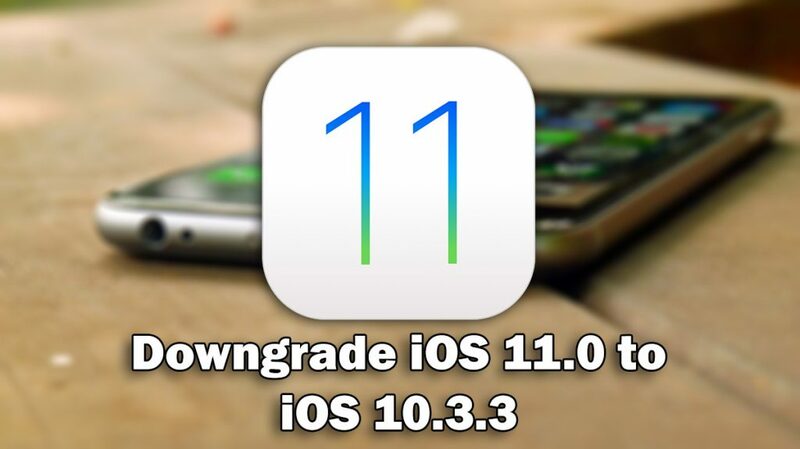 You will need to download the iOS 10.3.3 IPSW file you wish to downgrade to from here. Download the iOS 10.3.3 IPSW file from here. Hold shift (Windows) or Alt/Option (Mac) on your keyboard. While you are doing this, click the ‘Check for Update’ or ‘Update’ button. This will prompt you to select the IPSW file you wish to install on your device. Select the iOS 10.3.3 IPSW file you downloaded before. Your device will now begin to downgrade to iOS 10.3.3. How long I need to hold the shift button ? Thank you for the detailed instructions about the downgrading of the IOS 11. I want to use all the tips you have written. Take care.